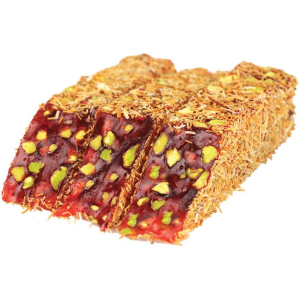 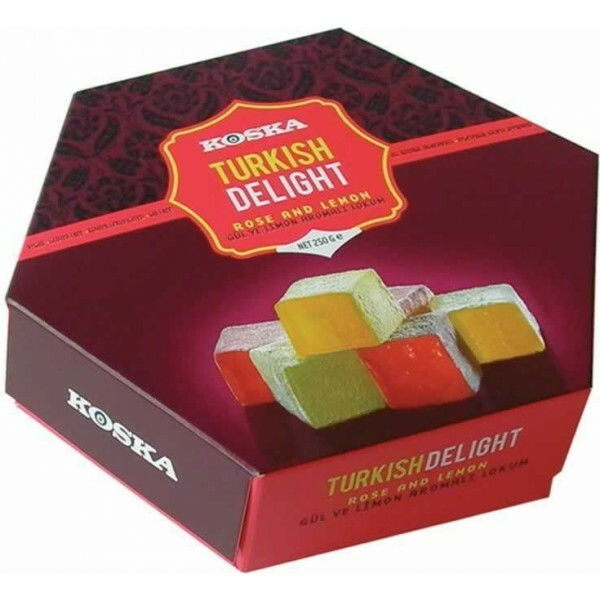 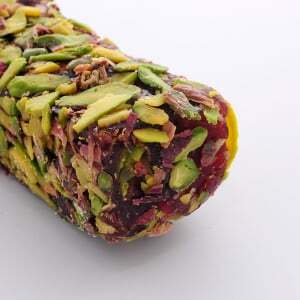 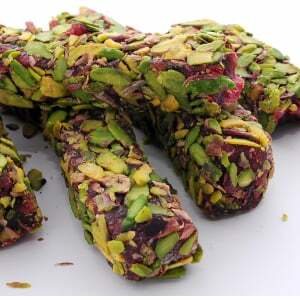 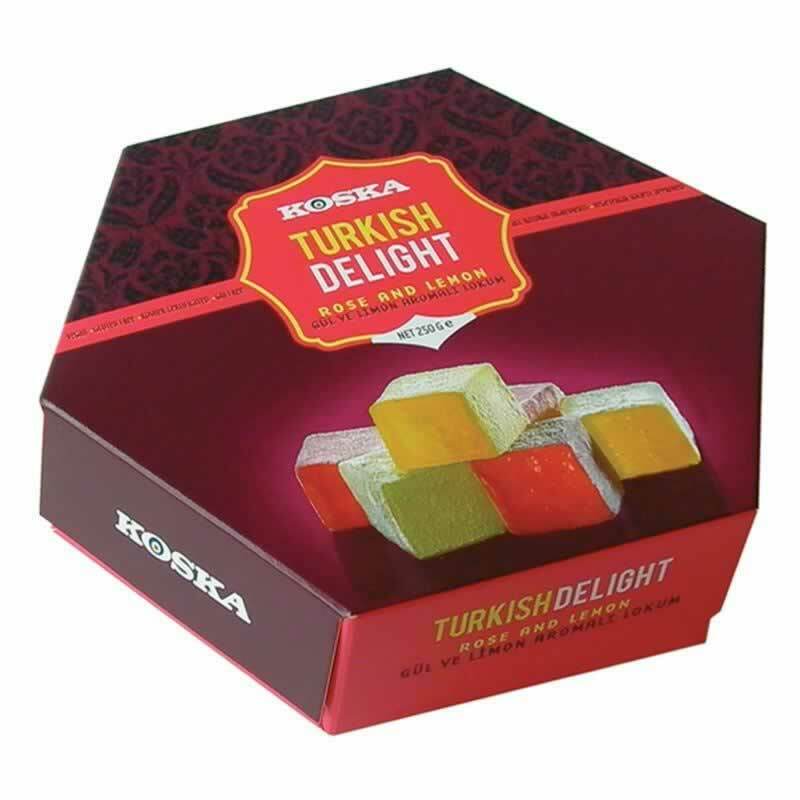 “Turkish Delight (Lokum) is a confection made from starch and sugar. 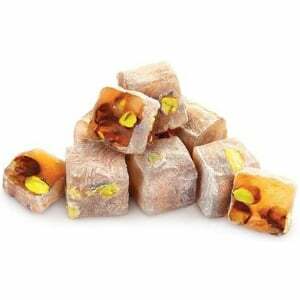 It is often flavored with rosewater, mastic or lemon; rosewater gives it a characteristic pale pink color. 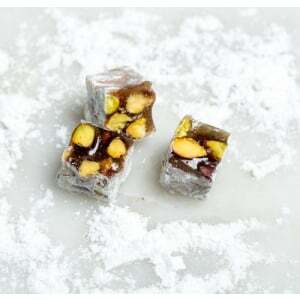 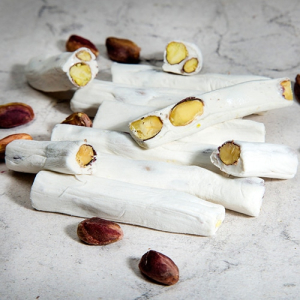 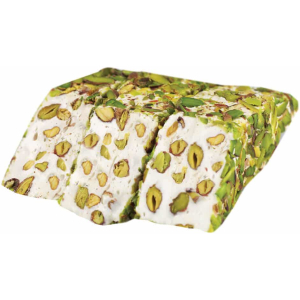 It has a soft, jelly-like and sometimes sticky consistency, and is often packaged and eaten in small cubes dusted with icing sugar or copra to prevent clinging.” Sometimes little pieces of nuts like pistachios, hazelnuts & walnuts are added too. 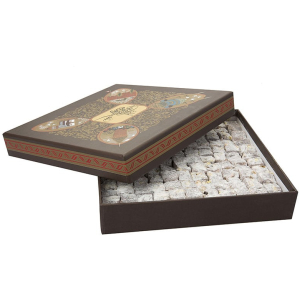 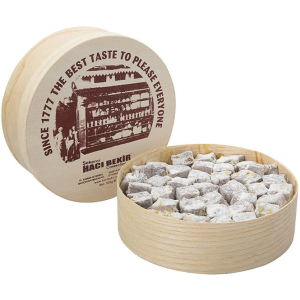 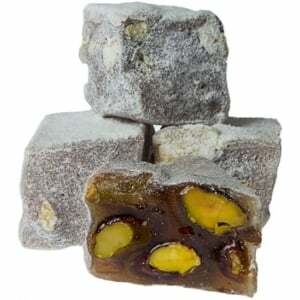 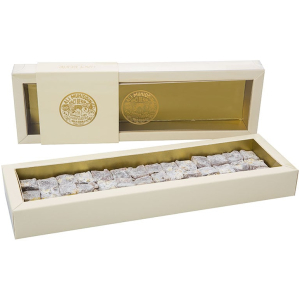 We believe you will find a Turkish Delight at grandturkishbazaar.com which fits your taste perfectly.